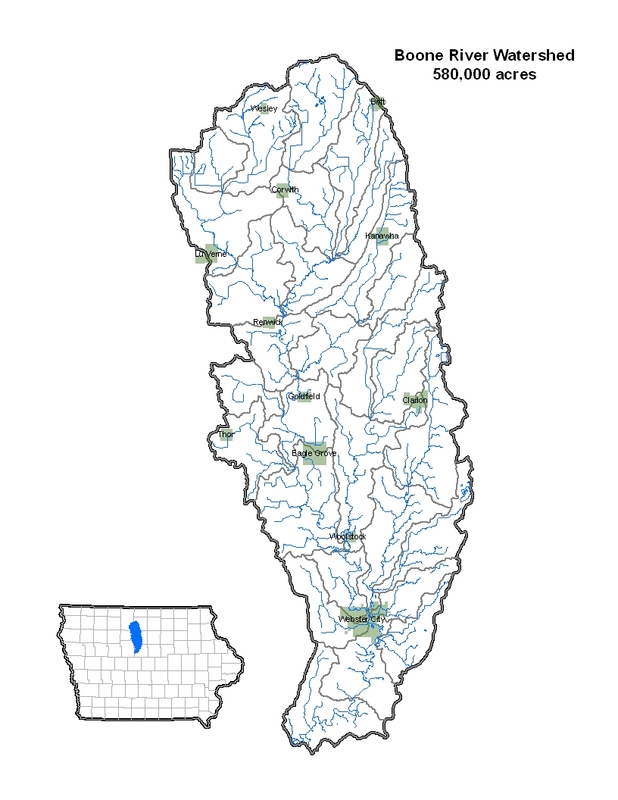 The Boone River Watershed stretches just north of Wesley down to Stratford and consists of about 581,000 acres. Of those acres, agriculture makes up a majority of that landscape. The Boone River Watershed Project was organized to assist in implementation of conservation practices to reduce nutrients (primarily nitrogen and phosphorus) in water runoff, improve wildlife habitat, and build resilient farms. 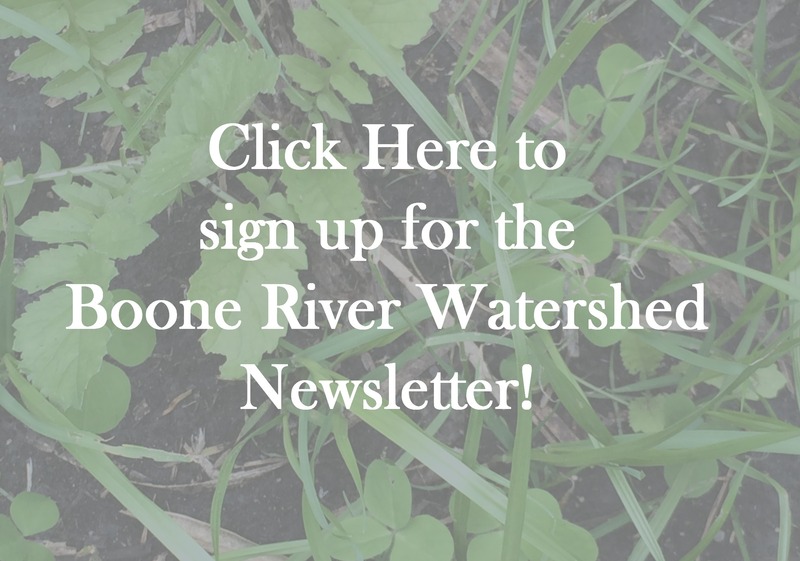 The Boone River Watershed Project partners provide technical and financial assistance to landowners and land operators to adopt conservation practices that will have benefits for their farms and downstream communities.